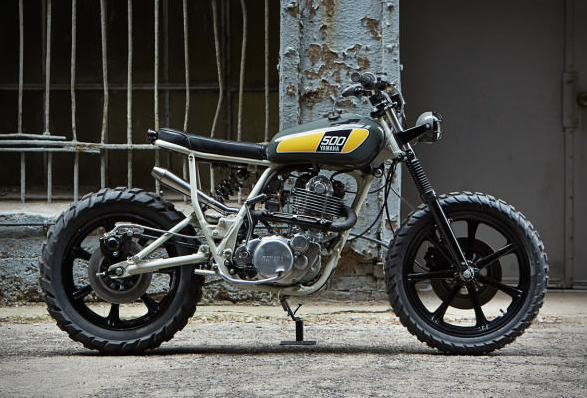 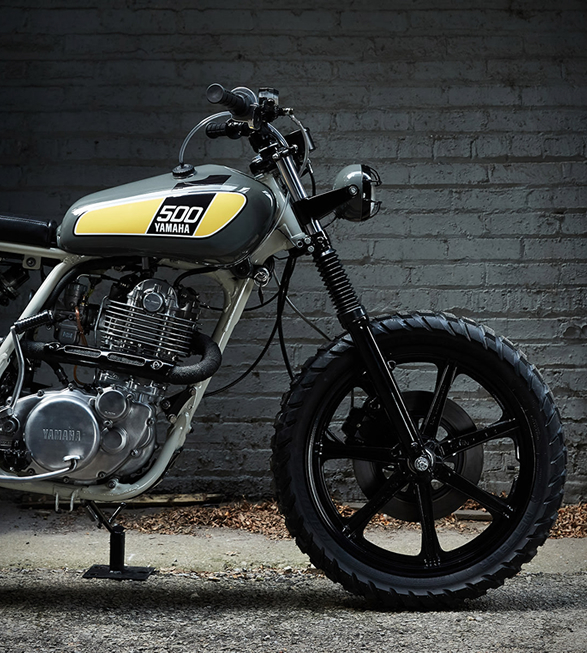 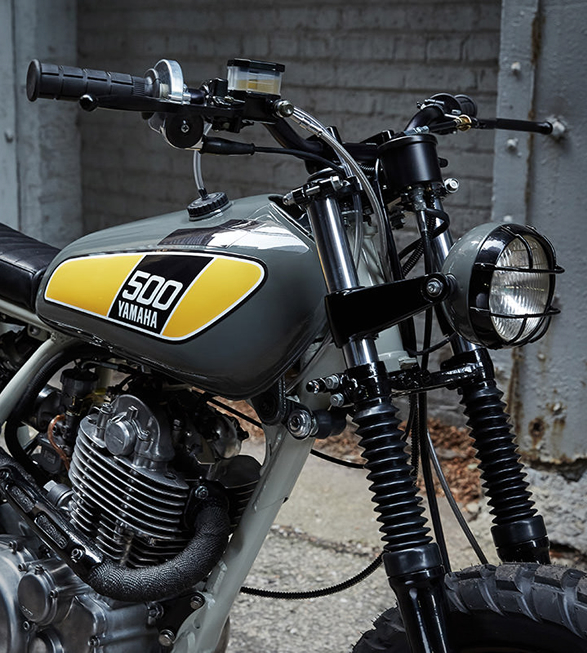 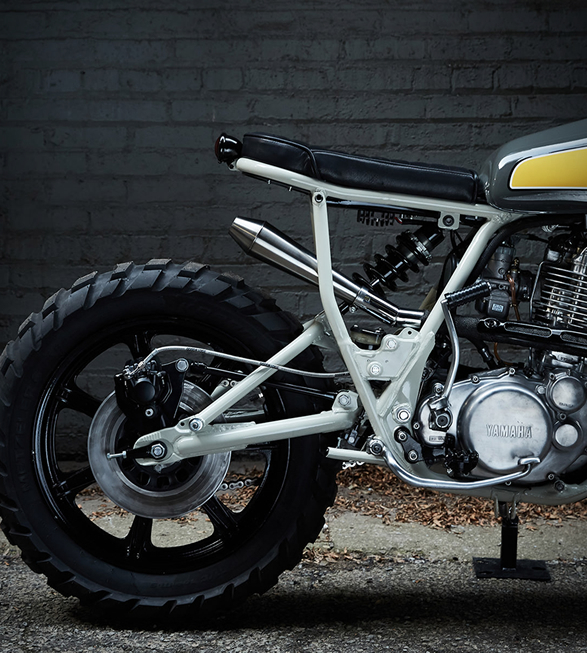 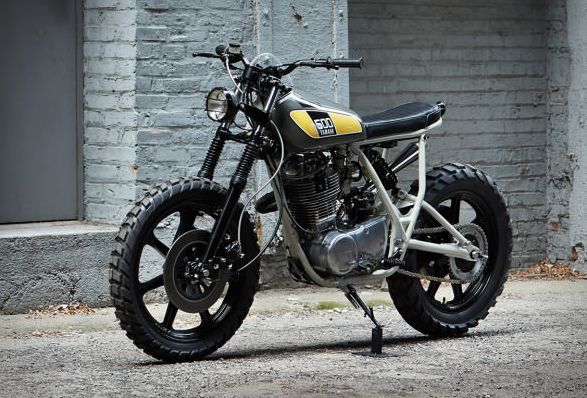 Our latest custom motorbike crush is one of our favorite builds up to date, a 1978 Yamaha SR500 converted into a masterpiece by Chicago-based Powder Monkees. 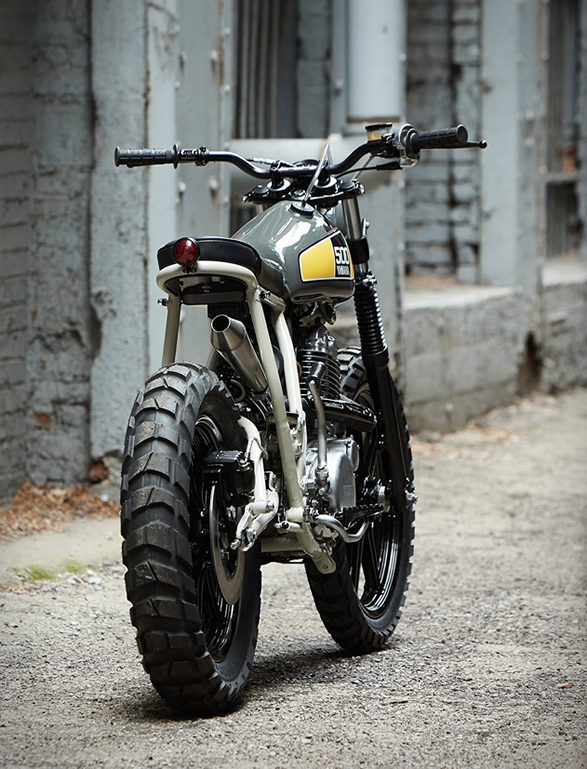 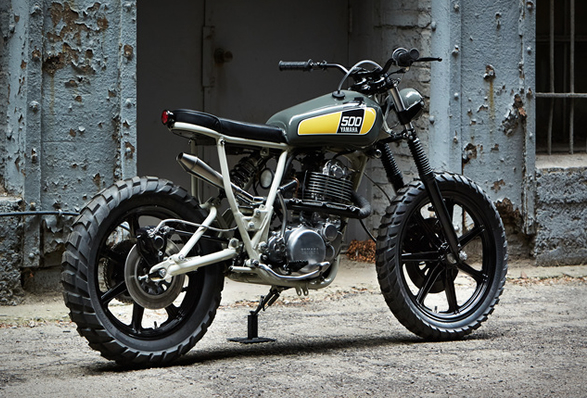 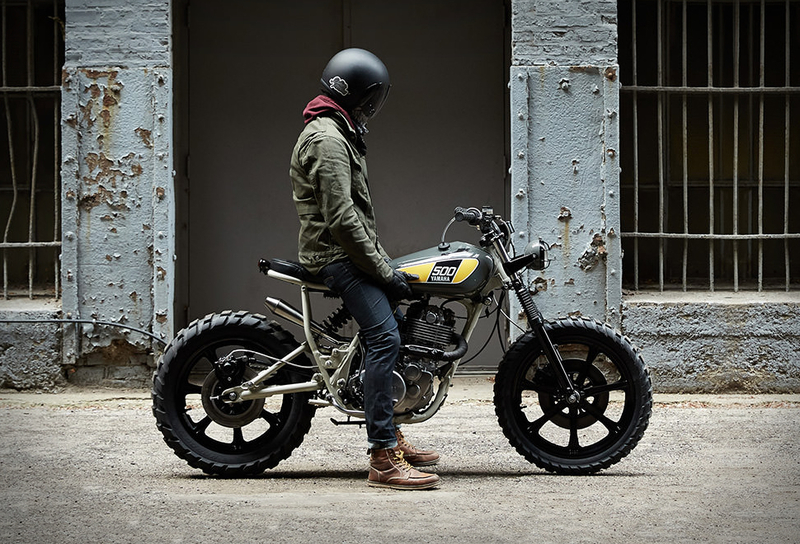 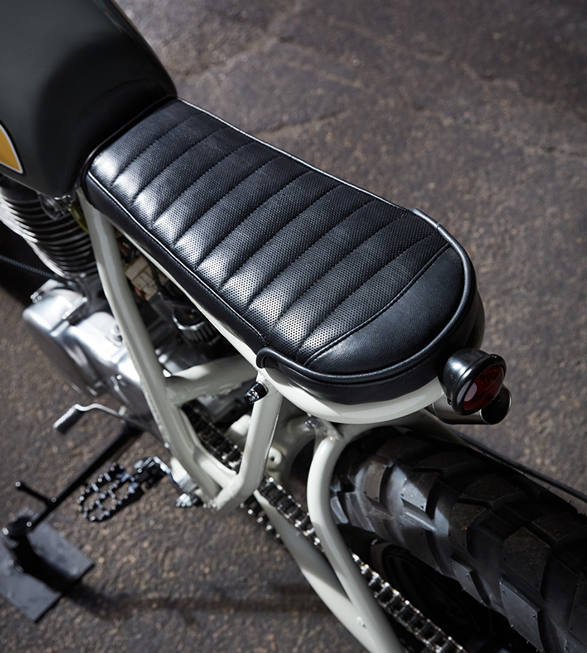 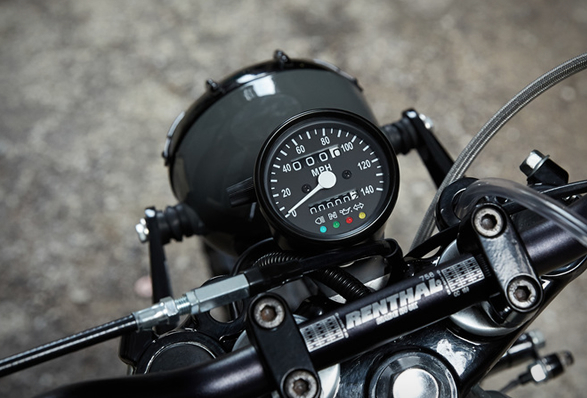 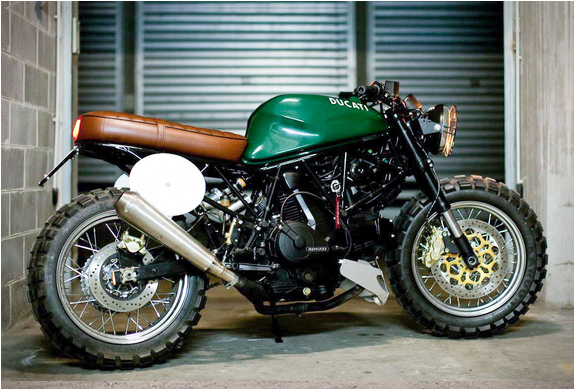 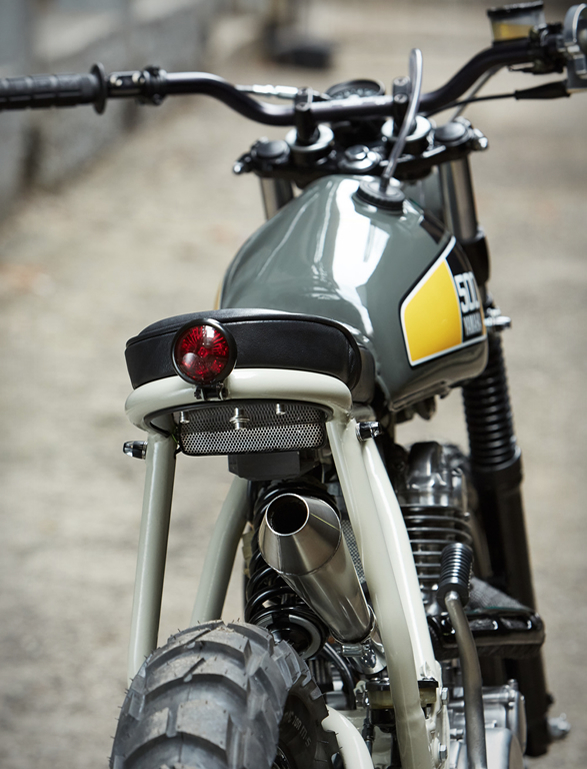 The bike was built in collaboration with Federal Moto, it was stripped to its essentials, fitted with a smaller tank, a 1970s headlight, mono-shock rear suspension, a custom leather seat and finished with a fresh, light color palette, minimalist parts choices, and some wild tires. 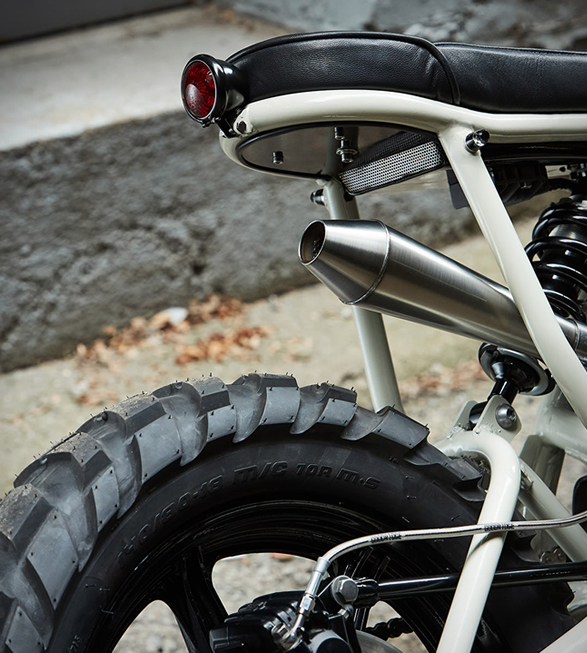 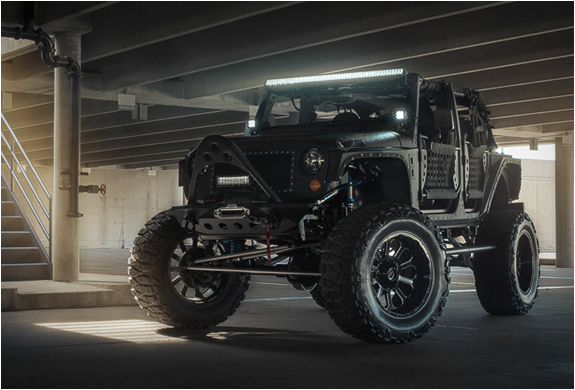 The end result is a highly maneuverable bike that is a perfect combination of downtown daily rider and weekend beach cruiser.